Home » Blog » What’s the Best Type of Yard Sprinkler for Me? Is your lawn looking a little brown? If so, then your grass may be suffering from a lack of water. During the hot summer months especially, your lawn needs plenty of water in order to thrive and grow. Rather than hoping for rain, the best course of action for restoring your lawn’s health is to use a yard sprinkler. With so many different types of yard sprinklers, however, it can be difficult to know which is right for your specific needs. 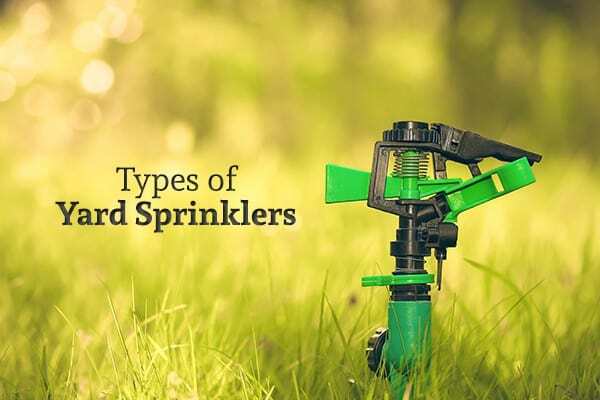 By understanding how different types of yard sprinklers work, along with some of the potential pros and cons of each type, you can pick out the right sprinkler for your yard. If you have a medium-sized area of grass or a garden that you need to cover efficiently, a rotating sprinkler will likely be one of your best options. Specifically, a rotating sprinkler will have two or more long arms that disperse water while spinning in a complete circle. This allows the sprinkler to provide consistent, 360-degree coverage. This type of sprinkler can also be great for taking care of the grass on the sides of your home. Another popular sprinkler type is the oscillating sprinkler, which has a long tube with different openings that shoot out water in a waterfall-like pattern. This is one of the most basic types of sprinklers, and it’s also one of the most affordable. Oscillating sprinklers are great for covering a larger area and are mostly recommended for areas of your lawn that have been freshly seeded or fertilized due to the even coverage and gentle watering they’re able to provide. A stationary or fixed sprinkler is also a budget-friendly option for keeping your lawn hydrated. These sprinklers are characterized by the fact that they diffuse water in just one simple pattern (though the patterns can vary depending on the type you purchase). This is probably the most economical of the lawn sprinkler options available to you, though it’s worth noting that fixed sprinklers generally will not be able to cover a very large area. As a result, they tend to be best for watering small lawns, gardens, and other miscellaneous landscaping around your property. When you think of a traditional yard sprinkler that makes a distinctive “clicking” noise as it operates, you’re thinking of an impact sprinkler (also commonly referred to as an impulse sprinkler). These sprinklers will shoot out a strong stream of water and rotate in a complete circle. Because of their adjustable patterns and wind-resistance, these sprinklers are great for larger lawns. Another bonus is that these kinds of sprinklers are less likely to clog than other types. If you want to get a little fancier with your lawn sprinkler, you might want to consider having an in-ground irrigation system installed on your property. These systems are by far the best way to ensure complete coverage of your lawn with minimal effort on your part. Specifically, an in-ground sprinkler will be installed underneath your grass, popping up only during operation before retracting back into the ground. There are all kinds of great features you can enjoy with an in-ground irrigation system, such as the ability to set your sprinklers on a specific schedule so that your lawn stays watered even when you’re away from home. While this is by far the most costly sprinkler option available, it may be worth the investment for those who are serious about keeping their lawns looking their best. Which Sprinkler is Right For You? These are just a few of the home sprinkler system options on the market today. When deciding on which is right for you, there are a few considerations worth keeping in mind. Start by having an idea of your budget for the sprinklers you need. From there, consider the size of the area that you need to cover, as well as the specific features you’re looking for in a sprinkler. Keep in mind that you can always “mix and match” sprinklers to achieve the results you desire. Should you choose to go with an in-ground sprinkler system, H.E.B. Plumbing & Sprinkler can help. They specialize in the installation, maintenance, and repair of these watering systems and would be happy to provide you with a free quote. 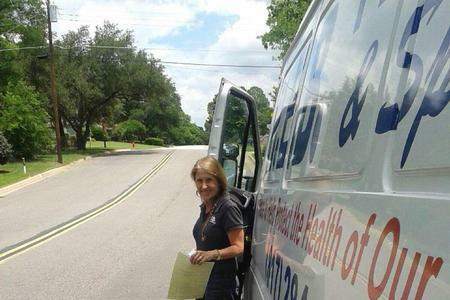 Contact them today at (817) 283-8888 to find out more about their many residential plumbing services.